The smallest custom style, IIC instruments sit invisibly in the ear canal. 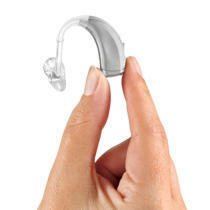 IIC are specifically designed for mild to moderate hearing loss. Full shell models sit flush within the outer ear bowl. Their size allows the maximum number of additional controls and features such as directional microphones, which require space on the other portion of the instrument. 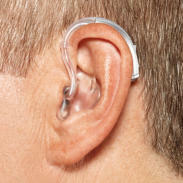 They use a larger battery size and can fit a larger receiver with enough power for even some severe hearing losses. 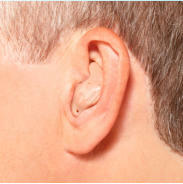 Because of their flexibility, they're widely recommended for mild to severe hearing loss. 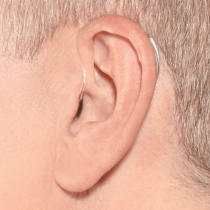 Behind-the-Ear (BTE) models sit behind or on top of the outer ear, with tubing that routes sound down into the ear that connects to an ear tip or earmold to secure them in the ear canal. BTEs come in colors to blend with hair or skin tones, and even chrome colors, leopard print and other funky designs to suit personal styles. Different BTE sizes accommodate different features, controls, battery types and degrees of power (larger instruments generally have more power than smaller ones). While many people choose discreet BTEs that are unnoticeable when worn, others are tempted to show off the cool designs. 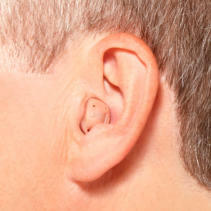 Hearing aids worn in the ear are usually custom-fit, based on a impression of the ear. 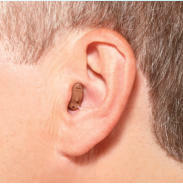 They’re available in different skin tones to camouflage with the outer ear. There are several styles - each is listed below, ranging from smallest to largest. Mini BTEs are designed to hide behind the outer ear, and have ultra thin tubing to discreetly route sound into the ear. The tubing connects to a soft tip that sits in the ear canal but doesn't occlude it. 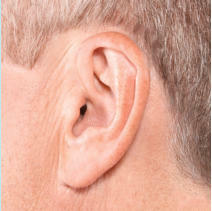 The result is a natural, open feeling as airflow and sound enter the ear naturally around the tip, while amplified sound enters through the tip. This is known as “open fitting” and is recommended for mild to moderate high frequency losses. RITE models, also known as RIC (receiver-in-canal) models, are mini BTEs that have the speaker of the instrument incorporated in the ear tip, instead of the main body of the instrument. RITE instrument fit mild to severe hearing losses. This hearing aid style looks similar to the Mini BTE when worn on the ear. Cros system is a product specifically designed for someone who needs sound routed wireless from a poor/dead ear to a better hearing ear. A microphone is placed on a non-functional ear which transmits sound to a receiver fitted on a better hearing ear. 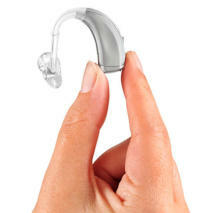 They can also be configured to a Bicros solution if the better ear needs amplification.